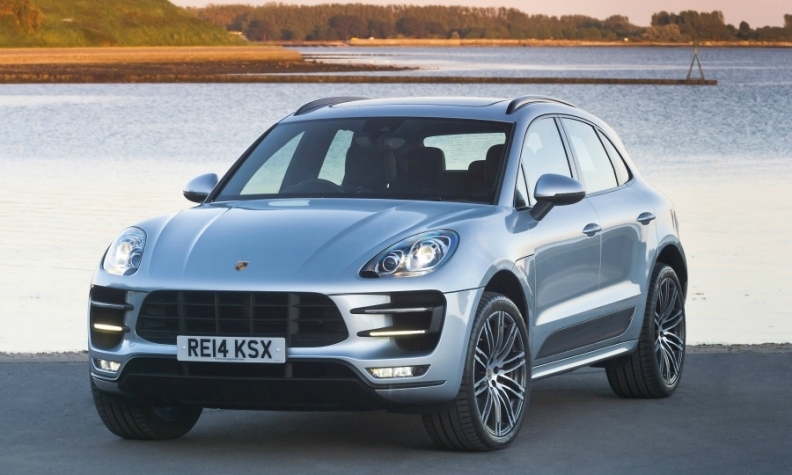 The Macan, Porsche's smallest SUV, is the brand's best-selling model in Europe. LOS ANGELES -- Porsche will not introduce any vehicles smaller than the Macan crossover and Boxster convertible in the current product lineup. "There is absolutely no intention to go below what we have today," Detlev von Platen, global sales chief for Porsche, said last week in an interview here at the opening of the Porsche Experience Center Los Angeles. Von Platen's comments rebuffed speculation published recently by some car magazines and websites that Porsche is busy developing a third crossover that would slot below the Macan in price and size. The Macan, a compact crossover, went on sale in 2014 and is now the brand's top-selling vehicle in Europe. In rejecting smaller, less-expensive vehicles than today's baseline, Porsche leaders are thinking about what the brand represents, von Platen said. "We are an exclusive sports car manufacturer," he said. "We have nothing to gain by creating a cheaper Porsche in the future. It's not about quantity, it's about quality in what we do." Porsche is developing new vehicles such as an electric sport sedan that will slot elsewhere in the lineup. But the brand's product expansion also will go beyond new vehicles, von Platen said. "If you want to be consistent with the product strategy we have had, in the future our investment will go more in the development of new services around the car," von Platen said. What could those be? Developing a parking feature in which the Porsche itself could identify an open parking location, guide the driver to it and quickly pay for it is one potential example, von Platen said.